I’M A BIT OF A LONER. A DEEP THINKER. I HAVE A BIG HEART, BUT I ALSO DON’T ACCEPT ANYTHING LESS THAN WHAT I DESERVE. I’M A DREAMER AND VERY PASSIONATE. I SEE THAT THERE IS A LOT OF THINGS WRONG WITH OUR SOCIETY AND FOR SOME REASON I FEEL LIKE I JUST DON’T FIT IN. 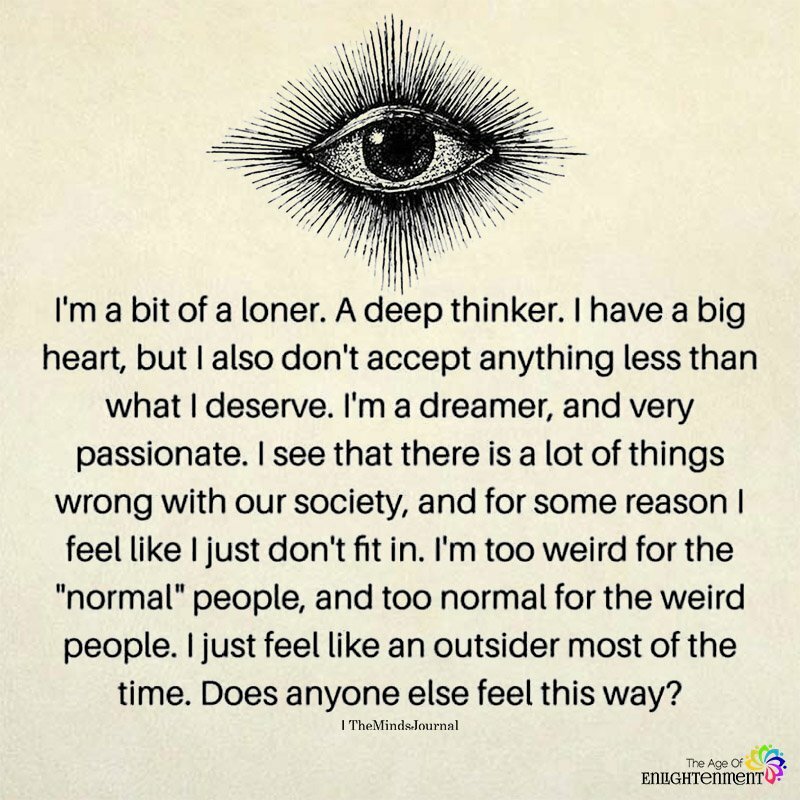 I’M TOO WEIRD FOR THE NORMAL PEOPLE AND TOO NORMAL FOR THE WEIRD PEOPLE. I JUST FEEL LIKE AN OUTSIDER MOST OF THE TIME. DOES ANYONE ELSE FEEL THIS WAY? You have an identical twin here. Absolutely! Every hour of every day.